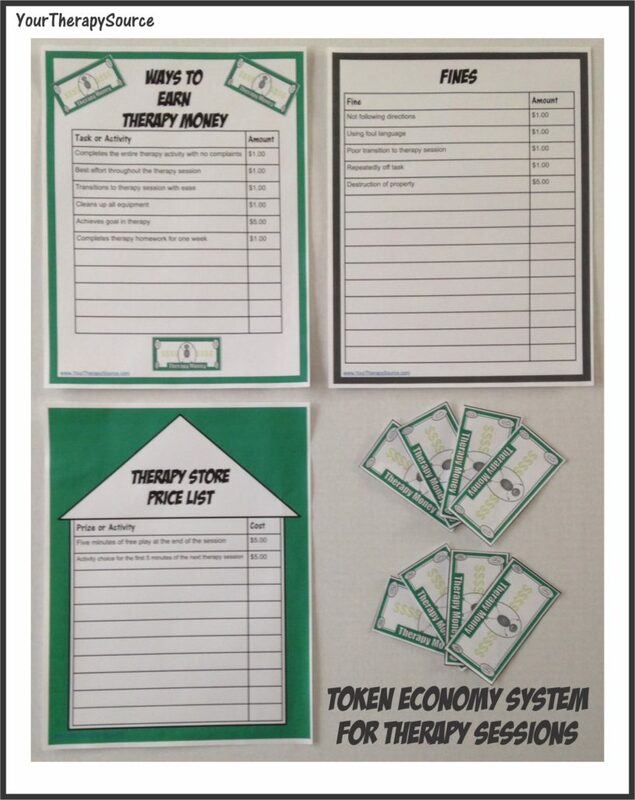 A token economy is another option to encourage appropriate behavior during therapy sessions. Directions: Download and print the 4 pages. 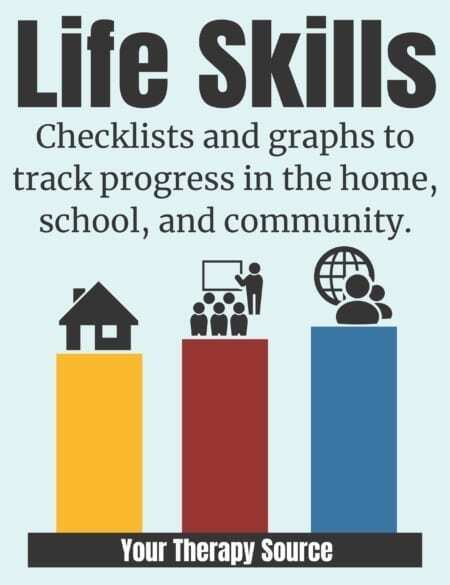 Add to the list of items/activities that children can earn money for that is on the following page. When the child completes the activity they are given the pretend money. Add to the list ways the child can be fined. The child can then use the money to pay for prizes or fun activities. Complete the therapy store price list – ie $5.00 to use the swing for 5 minutes at the end of the therapy session or assign value to inexpensive trinkets. 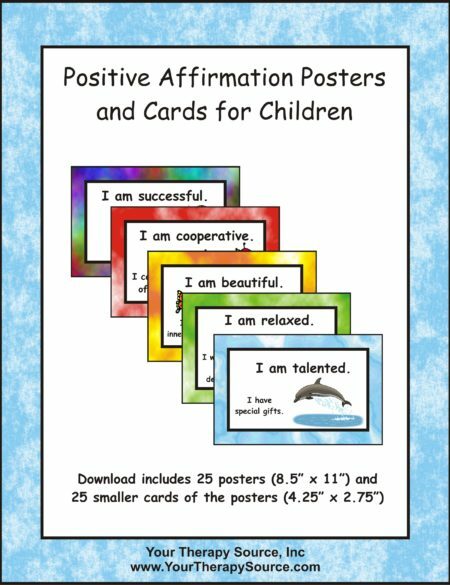 Explain the token economy system to the child, print and cut out the therapy money. Start earning prizes!